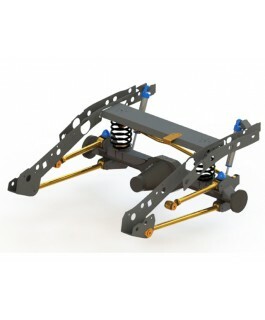 Our range of 4x4 suspension lift kits have been specifically put together for Australia's harsh driving conditions. More often than not your vehicle is loaded to the hilt, maybe fitted with heavy accessories or driven on harsh corragated roads for long periods of time. No matter what your appliaction, we can match the correct lift kit to your vehicle for exceptional performance for most makes and models of offroad vehicles. After fitment you can expect improved stability while carry load or towing, superior ride control and outstanding comfort for both on-road and off-road driving. 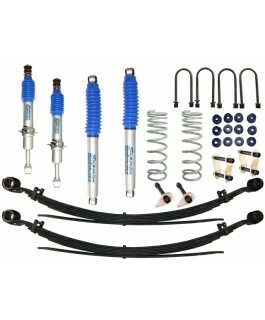 This is a 2" Inch Bilstein lift kit designed Suitable For Mazda BT50/Ford Ranger PX. Superior Engineering has come up with a 2 inch lift kit using top of the range Bilstein shock absorbers and front struts for the Mazda BT50/Ford Ranger PX. The..
Superior Coil Conversion Stage 1 Rear Kit Suitable For Ford Ranger PXII/Mazda BT-50 (VSC Models) The difference between the stage 1 and stage 2 kit is the stage 2 kit includes the coils and shocks and the stage 1 kit allows you to select your own ..
Superior Engineering has put together a heavy duty Superior Nitro Gas 2" lift kit Suitable For 2011 to current model Mazda BT-50 (Series 2) and Ford Ranger. 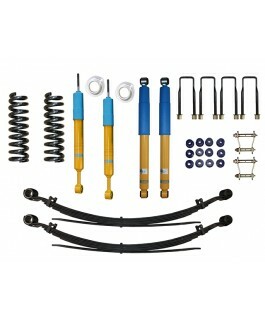 This suspension kit includes the following Suspension parts: 2 x Front Coil springs ..